Wear rings provide the bearing function between the metallic components of the unit during the stroke movement and in static conditions. They prevent metallic contact between pistons and cylinders or rods and glands, where forces act perpendicular to the direction of movement. 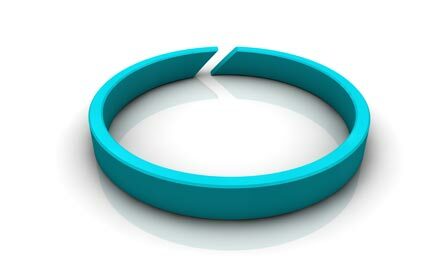 The wear ring design shows a circular but open preform, and therefore lends itself to easy assembly.